Together Landscape: Joe&Joe youth hostel by AccorHotels. Twin or double room: Joe&Joe youth hostel by AccorHotels. 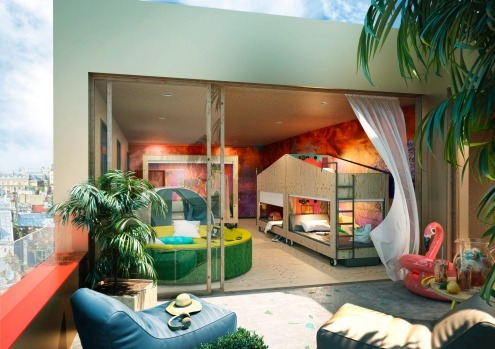 Garden Day: Joe&Joe youth hostel by AccorHotels. 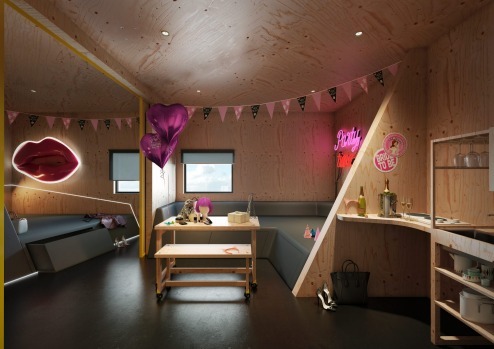 Happy House: Joe&Joe youth hostel by AccorHotels. 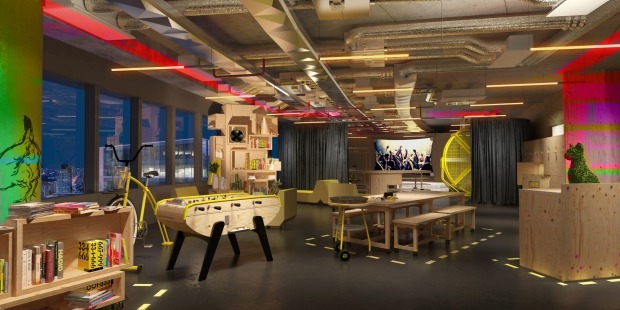 Room for six: Joe&Joe youth hostel by AccorHotels. 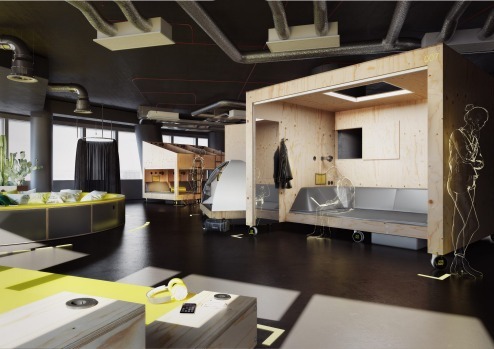 Together Show Room: Joe&Joe youth hostel by AccorHotels. 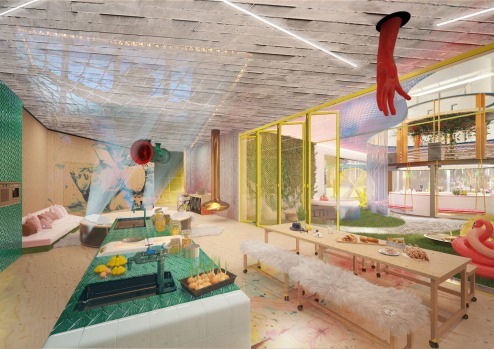 The restaurant: Joe&Joe youth hostel by AccorHotels. 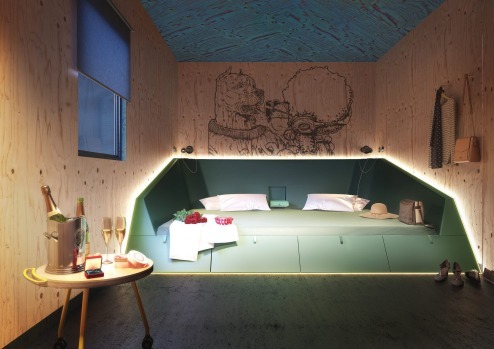 Room for four: Joe&Joe youth hostel by AccorHotels. 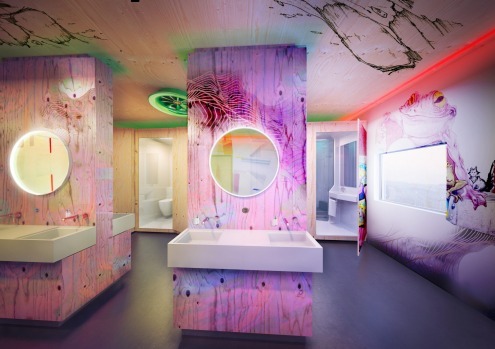 Shared showers and WC: Joe&Joe youth hostel by AccorHotels. 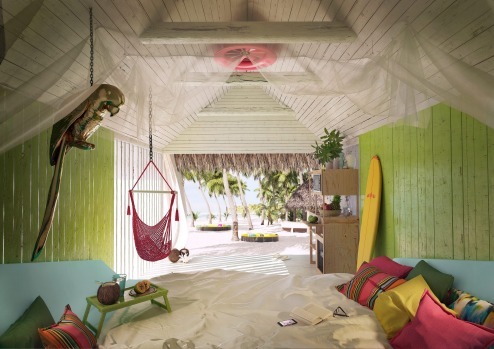 beach shack: Joe&Joe youth hostel by AccorHotels. Happy House Showroom, Paris: Joe&Joe youth hostel by AccorHotels. 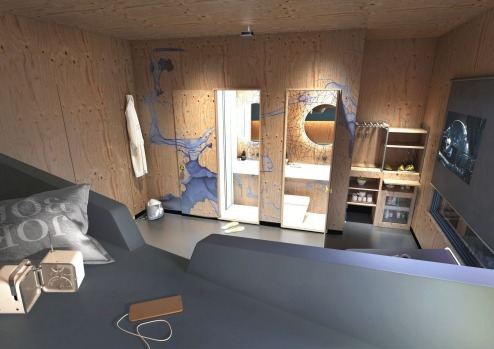 Room for 4: Joe&Joe youth hostel by AccorHotels. Joe&Joe youth hostel by AccorHotels. 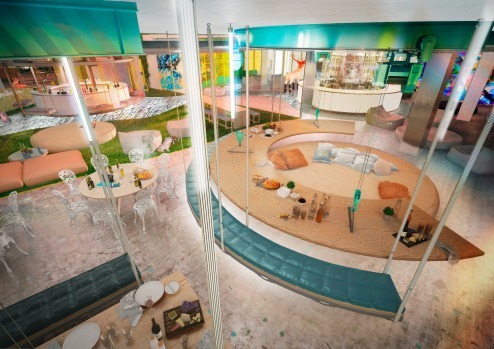 Happy House Cinema Showroom, Paris: Joe&Joe youth hostel by AccorHotels. Hostels had to change. It seems obvious when you think about it. They couldn't get away with being ratty and dirty anymore. They couldn't just provide one power point for a whole dorm full of people. They couldn't have half-arsed kitchen facilities. They couldn't get away with having no Wi-Fi. Some of them – the bad ones – had to change. One, because the clientele was demanding it. And two, because the internet exists. You can't get away with sucking anymore. If you do it'll be a matter of seconds before you're being slammed on TripAdvisor and Hostelworld and every other booking platform there is, and you'll have no clientele. There's no room for the famously bed-bug-ridden hostels of old. Those cherished institutions have gone fancy. They've even gone corporate. 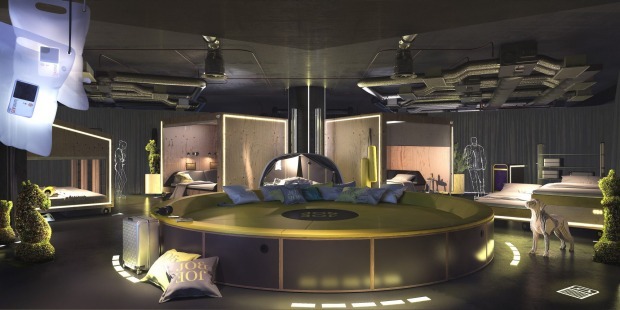 AccorHotels, the brand that owns high-end chains such as Pullman, Sofitel and Novotel, has recently dipped into the world of hostels. It has identified a niche among upwardly mobile young travellers. Hostels had to change, and they have. In fact, if you walked back into a hostel now after a break of 15 years, or 10 years, or even just five years, you probably wouldn't even recognise it. "Quality Wi-Fi is more important than hot water now," says Julian Ledger, the CEO of YHA Australia. Modern-day backpackers, he says, need to stay connected. They need places to charge their smartphones. They need fast, free Wi-Fi. They need to be online. However, there are ways of making sure they're still talking to each other. "One way is to put the best Wi-Fi in the social areas," Ledger says, "rather than have people sitting on their top bunk watching Netflix. But you can't expect things to be the way they were. We probably all stared at books a while ago…"
Modern hostels still have to be cheap. They still have to provide value for money. They still have to be well located. Those things haven't changed, and probably never will. What's different now, however, is that successful modern hostels have to look good. They have to feel unique. There has to be a talking point about them, something you can put on social media, something that is representative of the city people are visiting. The facilities have to be better. People who book private rooms want private bathrooms as well. People in dorms want a place to plug in all of their gadgets. They want their own light. They want privacy. They want a kitchen that's well stocked. You might think these changes are all due to the demands of millennials, that young people won't put up with dodgy accommodation or bad service anymore. And that is part of it. But there's been a larger change in hostel clientele. "The demographics have broadened," says Ledger. "Back in the year 2000, something like 30 or 40 per cent of our guests [in Australia] were Brits. Now we've got people from South America, South-East Asia, North-East Asia, and of course all the European countries. "The various Asian countries are not traditional backpackers, but they've taken it up with a lot of enthusiasm. 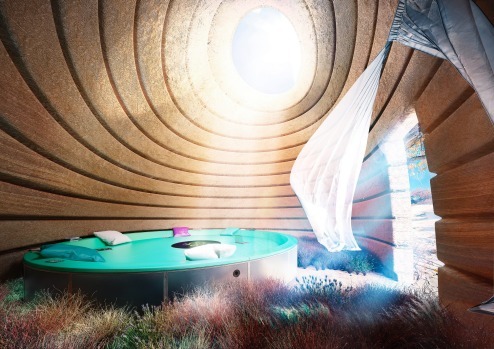 They like hostels to be clean and modern. They're probably not so keen on grunge. And they like self-catering. So, we'll provide woks and rice-cookers and chopsticks. And anyway, watching other people prepare food is part of the fun." 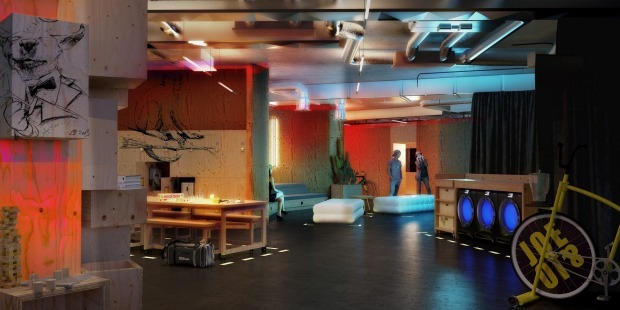 You know when the high-end hotel brands are getting into hostels that things are changing. Last year AccorHotels opened its first "Jo&Joe" hostel, a low-cost property in a beautiful old house on France's west coast, near Biarritz. 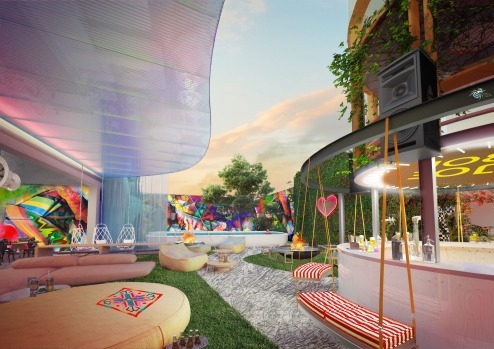 The project is designed not just for millennials who want somewhere nice to stay, but for travellers who might normally look for a private rental such as an Airbnb apartment, with its local, homey atmosphere and access to kitchen and laundry facilities. "It's the outcome of a project to take the best aspects of hostels – community – plus private rentals – the local experience – and hotels – the security, reliability and service – and blend them together in a new form of hospitality," says Simon McGrath, the chief operating officer of AccorHotels Pacific. The plan is to open 50 Jo&Joes across the globe by 2022. Paris will have one later this year; London will follow in 2019. Take a look at some of the planned designs in the gallery above. The good news about this change is that even those of us who now feel pretty old and creepy staying in a dorm room can still access the social benefits of staying in a hostel. There are always private rooms with ensuite bathrooms. Everything is clean and comfortable. There are no bed bugs. There's fast Wi-Fi. There's a washing machine and a kitchen. Sure, the corporatisation of hostels might seem a little sad to those with misty-eyed memories of dirt-cheap dorm beds and raucous hostel bars and no one taking photos of the whole experience to post on the internet. But if the result of this big change is a nicer place to stay, and a more diverse group of people to share the experience with, then it's probably not a bad thing. Hostels had to change – and they did. Have you stayed in a hostel recently? What was the experience like? Have they changed a lot in the last 10 years?